Ooty is the queen of all hillstations and is a popular retreat both in the summer and winter months. Tourists from all over the country flock to this beautiful hill station to enjoy the scenary and to have a relaxing vacation with their family and friends. A nice place to stay makes for a more relaxing vacation in Ooty. Good hotels in Ooty are available in plenty and in several budgets. Below is a list of best rated Ooty hotels that are popular among our guests. Hotel Nahar Nilgiris is one of the best Ooty hotels. This 3 star hotel has 80% customer recommendation and customer rating of 4.5 star out of 5 (from 19 reviews). Rates start at Rs. 2250 for deluxe rooms. Customer find rooms to be "spacious" and stay is usually "very comfortable" at this Ooty hotel. Major facilities include a multi-cuisine restaurant and two cafes with coffee shop and nice fast food options. Hotel Darshan is a great option at Rs. 1200 per night and a 4.5 star customer rating from 50+ reviews. This mid-range hotel has performed consistenly well over the past few year and we highly recommend this hotel. Read reviews of Ooty hotels. Ooty hotel popularity is decided by how often people prefer a hotel over other similar hotels. The three most popular Ooty hotels includes Madhav Guest House, Hotel Darshan and Hotel Lake View. Madhav Guest House is one of the most popular Ooty hotel in the budget category. Rooms rates start from Rs. 600. The hotel has a high customer rating of 4 out of 5 from over 115 customer reviews. 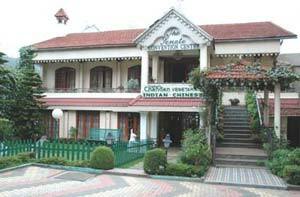 82% of our visitors said they will stay at this Ooty hotel again. One recent review said "The hotel is situated in a picturesque location. Excellent service at unbelievable rate. 200% value for money. I strongly recommend people to go for Madhav at Ooty." Hotel Lake View in Ooty is the most popular of all our Ooty hotels with rates from Rs. 1300 with 75% of the customer recommending this hotel. We have over 148 customer reviews for this Ooty hotel. Lake View is known for its consistent service. Hotel offers independent cottages, each cottage offering a private garden and open deck overlooking the lake and valley. Compare rates of Ooty hotels and view photos and customer rating before making an online booking. Remember, choosing a good hotels will make you stay in Ooty more enjoyable and memorable.